A little rain never hurt anybody right? Whoever coined that phrase maybe didn’t have to work in a downpour all day. If your job doesn’t do rain checks and you’re on the clock no matter what, you better be prepared with gear that will keep you protected and warm. 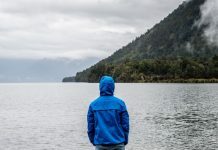 Pants, bibs, ponchos and jackets, our selection of wet weather apparel will have you daring some dark clouds to challenge you. 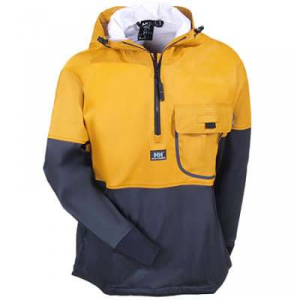 The Helly Hansen brand has created quality waterproof apparel since the 1800s. The Helly Hansen Waterproof Jacket is made from knitted polyester that’s tough and tear-resistant. The no-fuss material makes it easy to wash and dry and the polyurethane coating creates a layer that protects the fabric against the harshest elements. You need versatility in your gear to keep up with your busy day and that’s why this jacket doubles as a slip-on shirt. The dark yellow and charcoal outer shell includes a half zipper. The large drawcord hood with velcro adjustments give you a custom fit. The cuffs are designed with rubber to create a weather-resistant seal around your wrists, and you can pull the adjustable drawcord on the bottom hem to block the cold and wet. Your workplace necessities will be kept safe in the chest pocket with a snap closure and your ID card will fit in the click-on loop. 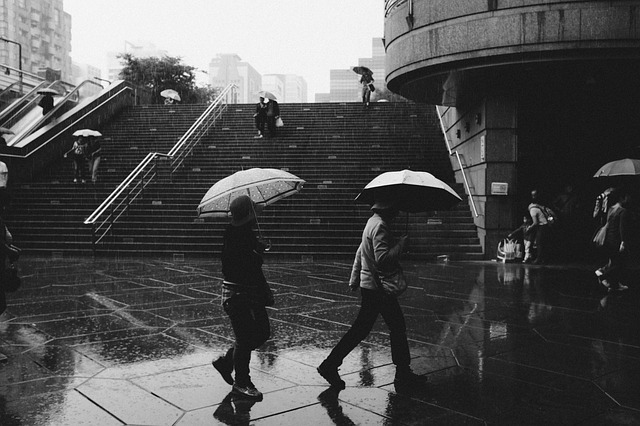 There’s no getting around it–it’s pouring and you’ve got a job to do. 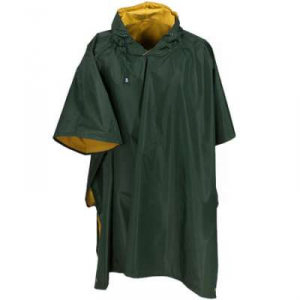 This situation calls for dependable gear like the Rothco 3624 Reversible Rubberized Nylon Poncho. This piece comes in a classic design that gives you a full range of motion to move around thanks to its 50 by 80-inch fit. You’ll be protected from the elements with its tough material that also resists wear and tear. For business as usual–or for a day of hunting–use the green nylon side. When you need to be seen like your life depends on it, reverse to the bright yellow rubber side to stay visible and block wind and rain. Water, fire, and stress–oh my! Facing any one of these things on the job requires protection, not to mention if you encounter all three. 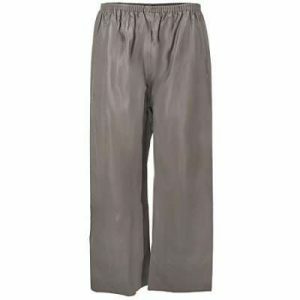 That’s why the Tingley brand created its Men’s Olive P12008 Magnaprene Waterproof Flame-Resistant Pants. Made of nylon that’s coated with neoprene, these pants offer waterproofing, fire resistance and will also stand up to exposure from certain harsh chemicals. You’ll get 100% liquid-proof protection when you wear them thanks to their stitched and taped seams. 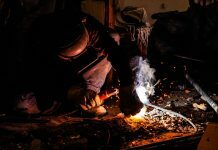 If things get extra hot on the job, these workwear heroes will self-extinguish with flameout and afterglow less than two seconds after an ignition source is removed (Test Method ASTM D6413). You won’t need to worry about a special cleaning or storage regimen with these pants because they were designed to resist mildew. 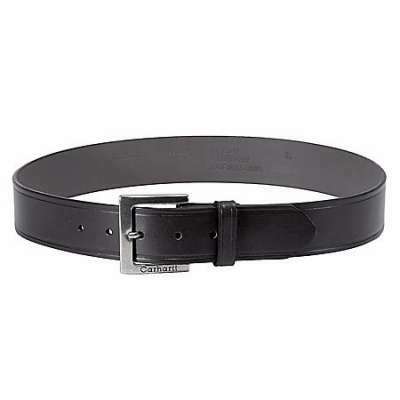 The elastic suspenders and heavy-duty snaps will work together to give you a secure and reliable fit. Wear these wet weather favorites on their own or pair with the matching Tingley Men’s Flame-Resistant J12148 Waterproof Hooded Safety Jacket for double the protection. Slip these bibs over your workwear and you’ll be equipped with utility and rain protection. 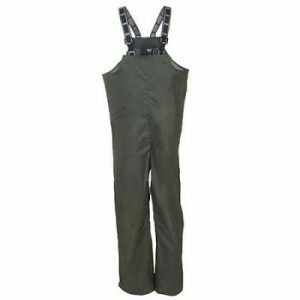 The Helly Hansen Men’s Army Green 70529 480 Mandal Waterproof Bibs are made with 100% polyester and coated with PVC for ultimate wet weather coverage. The fabric is also mildew resistant so you won’t need to fuss with a special cleaning or storage regimen. The suspenders are elastic and you can adjust them for the fit that’s right for you. You can also count on the inner chest pocket with a zipper to store your belongings safe from the rain. Grab the matching Helly Hansen Men’s Army Green 70129 480 Waterproof Mandal Rain Jacket for even more coverage. When you need full-on, tsunami status rain protection, suit up in the Tingley Men’s S61317 Three-Piece Yellow Waterproof Suit. It’s 100% waterproof so you can take on elements with confidence. The seams are electronically welded to lock out water. 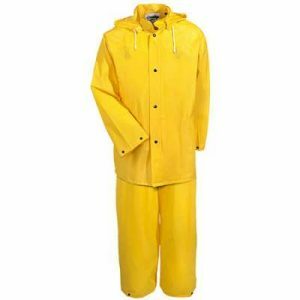 The durable yellow suit includes bib overalls, a jacket, and a detachable hood with drawcord closure. Channel your inner sea captain in this 3-piece combo that features a snapped front and storm flap to keep out the wind and rain. The plain-front overalls include adjustable suspenders, so you can customize your fit. The adjustable plastic snaps on the sleeves, legs, and waist make it easy to get in and out of the ensemble. To keep you cool under pressure, the jacket includes a vented cape back and underarms. Ahoy!